Sony Xperia XA Ultra has started receiving Android Nougat 7.0 software update and we can expect other phones from the company to get the update soon. Sony has already started getting Android Nougat update for a lot of their Smartphones. The latest news is that the company is rolling out the Android Nougat software update to Sony Xperia XA Ultra Smartphones. Sony Xperia XA was announced last year around May. It is actually getting a new software of firmware number 36.1.A.0.179. Currently, only a few variants of this Smartphone are receiving the latest Android 7.0 Nougat update. As of now, the update has only started rolling out to the two models called F3211 and F3212 which are the European versions. If it gets any major update, Sony will be posting the update depending on the region. This also suggests that the US and Asia will have to wait for the update a little longer. As we know, the Sony Xperia XA Ultra comes in three different model numbers F3215, F3216, and F3213. F3215 is the variant of Asia, F3216 is a Global one and the third one F3213 is the US variant. If we talk about the latest software update, we can expect latest security enhancements, Wi-Fi connection, bug fixes, sound stability and improvements in general performance. Furthermore, the latest update will also come up with more specs and improvements of Nougat. Such as longer battery life, improved messaging capability, Google Now integration, multi-window support, a much more smarter and personal Xperia home screen, etc. Although, no matter what, the users of Sony Xperia XA Ultra will definitely be able to experience this Smartphone with the latest Nougat software update. If you want to check the device’s current software version, you can simply go to Settings – About phone – Build number. However, your status bar appears every time a software update is available. If you want to download or install a system update provided in your notification panel, what you need to do is to check if you are logged in as the owner. You can then drag down the status bar and open the Notification panel. After you do that, scroll and select the system update you like and then start Download. When it gets downloaded, check the notification panel again and then start to install by following the instructions. 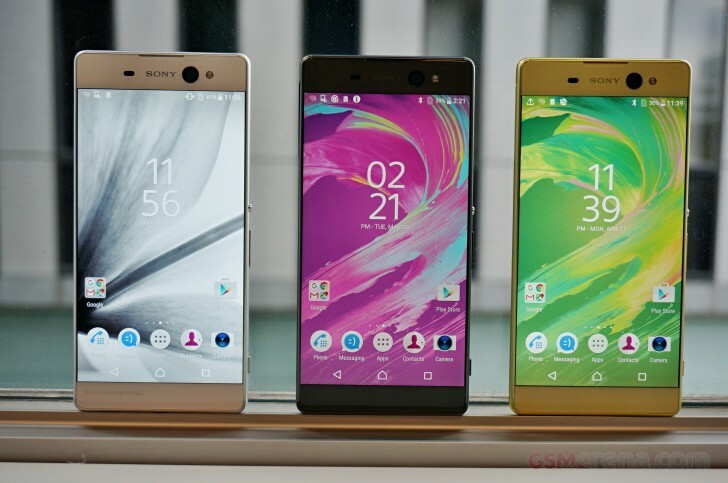 However, as Sony has now started rolling out the Android Nougat software update to its Smartphones, we can expect the roll out to other devices in the XA series such as Xperia XA and Xperia XA Dual SIM.